Spring or Fall, we love our plants no matter how big or small! Students grow fall vegetables, snapdragons, Sweet William, poinsettias and Christmas Cactus. In the mix there are some perennials and mixed containers. In the spring, well the sky is the limit. The students, however, focus mainly on vegetables, herbs, and flowers (leaving trees and shrubs for the nurserymen). Saturday, November 14th from 8am-5pm. WHS Main Entrance. 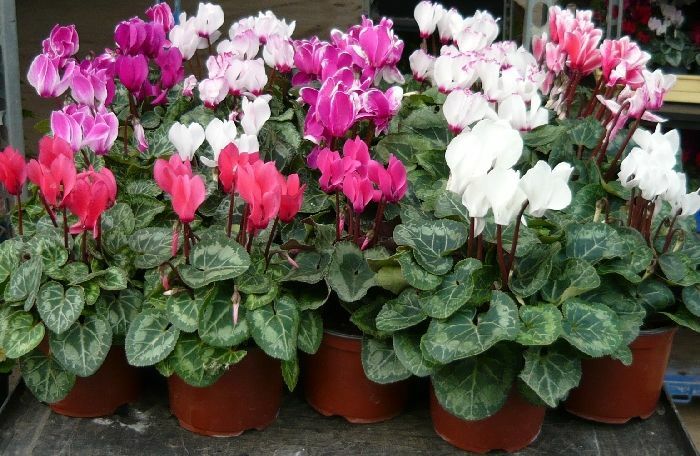 Purchase Christmas Cactus, Poinsettias, Cyclamen, Potted Plants, and More. Grown at the WHS Greenhouse. Wednesday through Friday, September 28th-30th from 8am-5pm at the WHS nursery (near the greenhouse and basketball courts). We will have pansies, violets, snapdragons, mums, vegetables, sweet William, and more available. Feel free to preorder, as well. The Poinsettia Sale happen every year at WHS. We grow some really cool "couture" varieties of poinsettias. Two students, Bailey and Allison Parrish (twins) are this year's growers. For every poinsettia sold, the girls receive $1 towards a scholarship for after high school. We sell a variety of sizes (4", 5", 8", and 10"). You can order until November 14th. The pickup dates for the poinsettias are November 30th through December 2nd (10am-4pm). Pick up by the back door near the sheds. We also donate leftover poinsettias to the elderly and local farmers. Colors: We grow over 20 varieties. Just buy one and come and check them out. It's first come first serve for color choices. As you know, if you are FFA Alumni member you can get in on our FFA Alumni preview day, Wednesday, April 19th from Noon until 5pm. Students have worked hard and grown unique plants, heirloom vegetables, herbs, and as many hanging baskets as we could fit in there. We hope to see you there. Here is some of what we have to offer... Check it out! Prices range from $1 a pot to $4 for most. There are hanging baskets that are $12 to $15... Tomatoes in gallons are $5 or buy four get one free.